Following a tour of duty, Special Services soldier Vincent (Schoenaerts) takes a job in security for a wealthy Lebanese businessman and his family. During a lavish party one night, at their luxurious 'Maryland' villa, Vincent senses that something is amiss. When his employer is then urgently called away on business Vincent is left to ensure the safety of his wife Jessie (Kruger) and their child. Suffering from post-traumatic stress, Vincent battles his own paranoia whilst clinging to the certainty that Jessie and her family are in immediate danger, unleashing a hell-bent determination to protect them at all costs. 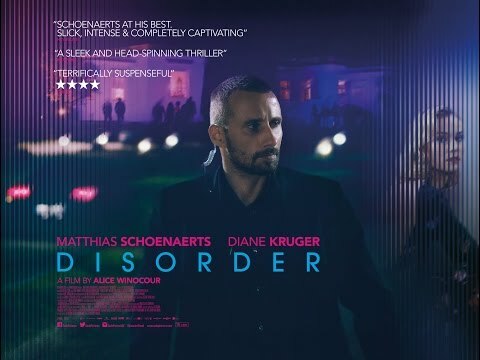 Disorder was released on Blu-ray, DVD and VOD 858d ago in the US and the UK. Notify me when Disorder is available.